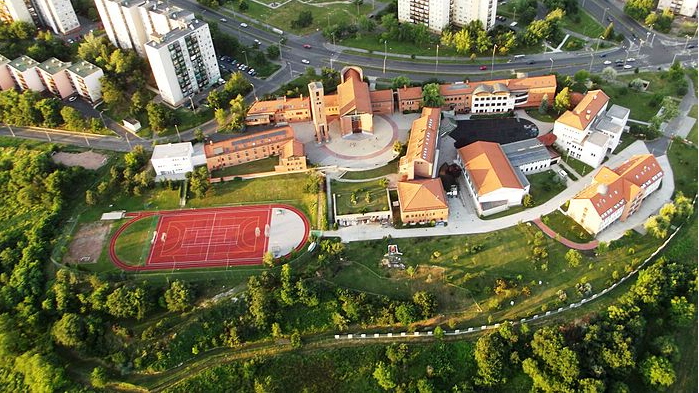 Our jesuit academic grammar school is a dominant educational center in the northeast of Hungary emphasizing catholic values. Students aged from 12 years to 19 years have the opportunity to broaden their perspective by a comprehensive educating system concentrating on high leveled knowledge in different subjects -especially in chemistry and biology. 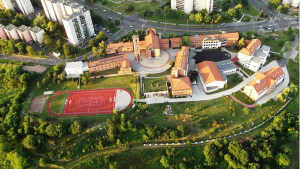 Our high school cooperates fruitfully with other local high schools and with the local university as well. Ambitious students can get insight to several chemical and biochemical experiments. Our scientific team has participated in numerous projects inside and outside of the borders of Hungary. High percentage of the gratuated students continue their scienctific universities, where they outstand.